The authorities in Beijing have said that all the capital's schools will be closed for two weeks in an effort to halt the spread of the Sars virus. The move, which will affect more than 1.7 million children, comes as China struggles to contain an outbreak which officials first tried to play down. On Wednesday the authorities announced that nine more people had died of Sars on the Chinese mainland, seven of them in Beijing, taking the total to 106 deaths and 2,305 cases. Hong Kong, which has also been hit heavily by the Sars virus, has announced a HK$11.8bn ($1.5bn) economic package to lessen the impact of the outbreak. Authorities in the territory said a further six people died of the disease on Wednesday, bringing the death toll there to 105 and the total number of cases to 1,458. As well as affecting China and Hong Kong, the Sars (Severe Acute Respiratory Syndrome) virus has spread throughout the world, with the total number of cases now more than 4,000. Sars appears to be caused by a new strain of the coronavirus, which may have "jumped" from animals to humans in the Chinese province of Guangdong. Scientific teams are racing to produce a vaccine, but experts have warned that the process is both difficult and time-consuming. The Beijing Genomics Institute said earlier this week that the virus was "expected to mutate very fast and very easily". Even when a vaccine is available, it may only offer limited - and temporary - protection, experts have said. 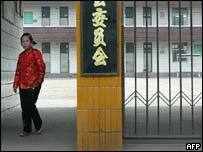 The BBC's Holly Williams in Beijing says the capital's school closures are a sign of just how worried China's leaders are. The measure was taken to "protect the lives and health" of pupils, according to an official statement. In another attempt the halt the spread of the virus, the Chinese authorities have launched an information campaign and started to disinfect public places. Teams of workers in masks and rubber gloves can be seen spraying down planes, buses, trains and transport terminals. Until last week, Beijing's authorities were only admitting to 37 Sars cases in the city. But under increasing international pressure, officials announced over the weekend that there were closer to 700 confirmed or suspected cases in the capital. Despite the precautions now in place, a sea of people in white masks have thronged Beijing railway stations in recent days, trying to leave the capital. "People are stocking up on traditional remedies"